Child Centered Play Therapy (CCPT) is all about trust in the child to discover, learn, and grow on their own. 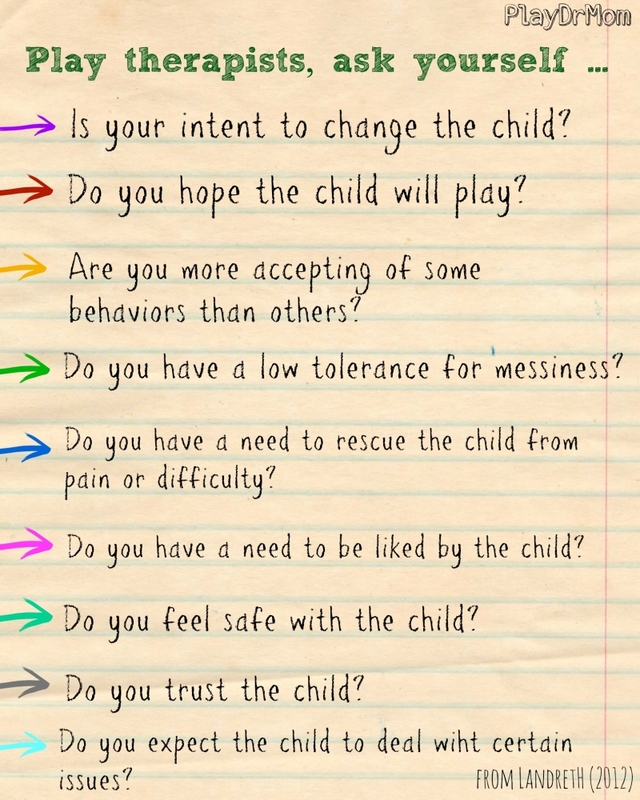 It is essential to this mode of treatment to focus on the CHILD … not the problem. But in today’s world, with insurance companies, managed care, troubled economy, and society’s growing pressure to push children faster and faster, these principles can be a struggle to maintain. Not to mention it’s really tricky when a parent sits in your office, emotionally distraught about the most important relationship in their life, and not want to change the child or nudge the child to behave differently. What do you think? Are all of these essential to CCPT? For me I am totally on board about not needing to be liked by the child, feeling safe, trusting the child … but the others I definitely struggle with at times. Some more than others. For example, I definitely hope the child will play (or engage in the session in some way … talking is fine too!) and I have a desire for the child to address certain issues. That’s probably why personally I have found I’m not a “strict, tow-the-line” child centered play therapist. I have found that a mixed model of CCPT and some more directive play therapy techniques work for my personality as a play therapist. Do you think mixed models work well in play therapy? What are your preferences? I’d love to hear from some other play therapists out there! Follow Laura Hutchison’s board Resources for Therapists on Pinterest.